During my shoulder surgery recovery a good friend was kind enough to have me over to her house for the weekend. Of course we made bento! This is the one we made for her. She came up with this awesome theme idea and did most of the cutting and making, I just helped plan and did a little bit of styling. 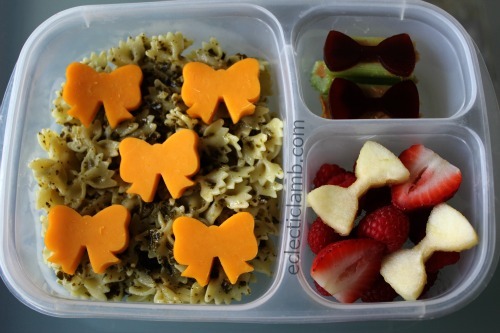 This entry was posted in Bento / Cute Food and tagged Cookie Cutter, EasyLunchboxes, pasta. Bookmark the permalink.